Note: There will also be a 6:30-7pm New Member SIG pre-meeting, as described below. Your registration is good for either or both events. As mobile phones will be able to download high definition videos in seconds, how will cellular networks evolve? How will 5G support such large user demands, while simultaneously supporting billions of IoT devices requiring mundane, low-rate connectivity? What role will Wi-Fi play in all this? Who will be managing all this, and what can we reasonably expect and when? In this talk, Jonathan Wells will explore these questions regarding the future of wireless broadband as today’s cellular networks move from 4G/LTE to LTE-Advanced, and onto 5G. Dr. Jonathan Wells is President of AJIS Consulting where he provides wireless technology consulting with a specialization in cellular technologies and standards. Jonathan also provides litigation support and expert witness services in these areas. He has over 25 years of experience in telecommunications networks and designing infrastructure equipment, holds B.Sc., MBA and Ph.D. degrees, and is lead inventor on multiple patents. Jonathan has over 40 publications and conference presentations, and is author of “Multi-Gigabit Microwave and Millimeter-Wave Wireless Communications” (Artech House, 2010). He is an IEEE Senior Member, has been a CNSV member since 2008, and is currently CNSV Vice-Chair. This is the kick-off for the new IEEE-CNSV New Member Special Interest Group (SIG). If you are new to CNSV or would like to meet our new members in a smaller group session, please join us for this pre-meeting. We will give everyone a chance to introduce themselves, and we will help you address the concerns that those new to consulting and/or CNSV may have. In addition, those considering joining CNSV can get a taste for some of the benefits of membership. 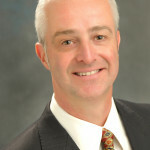 The SIG will be facilitated by Sean Murphy, a CNSV member since 2004 and a business development consultant since 2003. Sean assists technology entrepreneurs with lead generation, and negotiating and closing complex deals. Prior to becoming an independent consultant, he spent over two decades working in engineering, marketing and business development roles in a variety of Silicon Valley technology firms, ranging from startups to firms like AMD, 3Com and Cisco. Sean’s most recent blog post is “Am I Making a Fool of Myself?” which offers a checklist you can use to clarify your situation when you are starting to feel like a fool (a feeling not uncommon among new consultants, and established consultants for that matter as well).